In front of a packed house on Thursday night, DiBella Entertainment returned to B.B. King Blues Club & Grill in midtown Manhattan for its year-end “Season’s Beatings” edition of Broadway Boxing. The bouts were streamed live on DiBella Entertainment’s Facebook page. 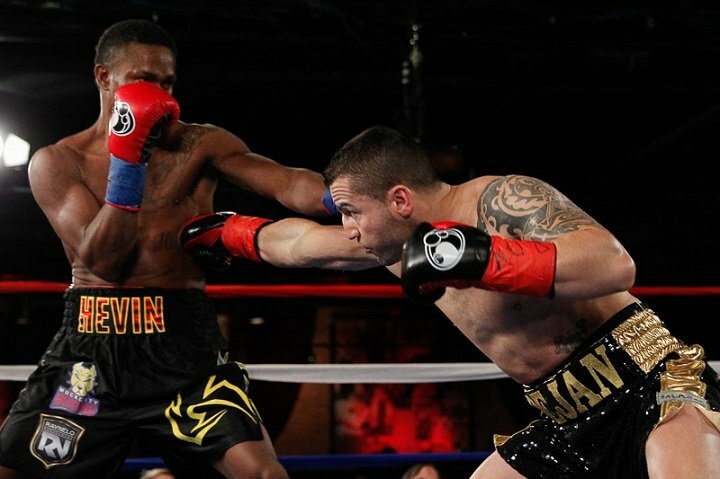 Broadway Boxing is presented by Nissan of Queens, Azad Watches, OPTYX and Christos Steak House.